Today, there has been a delay in the verdict expected in the mass trial of young Irish man, Ibrahim Halawa. Ibrahim, who was just 17 at the time of his arrest, has spent 1,460 days in prison awaiting trial. During that time, he has endured more than 30 adjournments in his mass trial, as Egypt continues to ignore its obligations under both Egyptian and international human rights law. At today’s hearing, the judges said that they needed more time and deferred the verdict until 18 September. “This is hugely disappointing and frustrating delay in the announcement of a verdict which was anticipated today. Today, our primary concern is for Ibrahim and his family who have endured the ordeal of his detention for more than four years. We hope that the Irish government will make clear its disappointment that a verdict hasn’t been given today, and will impress upon the Egyptian authorities the urgency of bringing this case to a conclusion ensuring that Ibrahim is returned to his family and his life here in Ireland. “Amnesty International has conducted a thorough, independent review of the prosecution evidence and concluded that Ibrahim was arrested solely for peacefully exercising his right to freedom of assembly and expression. He is a Prisoner of Conscience. Today’s adjournment means that he will continue to be unjustly incarcerated in an Egyptian prison. His ongoing detention is an inexcusable violation of both international and Egyptian law. Ibrahim has spent 1,460 days imprisoned, when he should rightfully be at home in Dublin with his family, friends and loved ones. “Given the length of his imprisonment and the horrific circumstances of his detention, Amnesty International continues to be gravely concerned for both his mental and physical wellbeing. We reiterate our call on the Egyptian authorities to drop all charges against Ibrahim and to order his immediate and unconditional release. We also urge the Irish Government to continue working on his behalf and to use every means at their disposal to secure his release,” said Colm O’Gorman, Executive Director of Amnesty International Ireland. 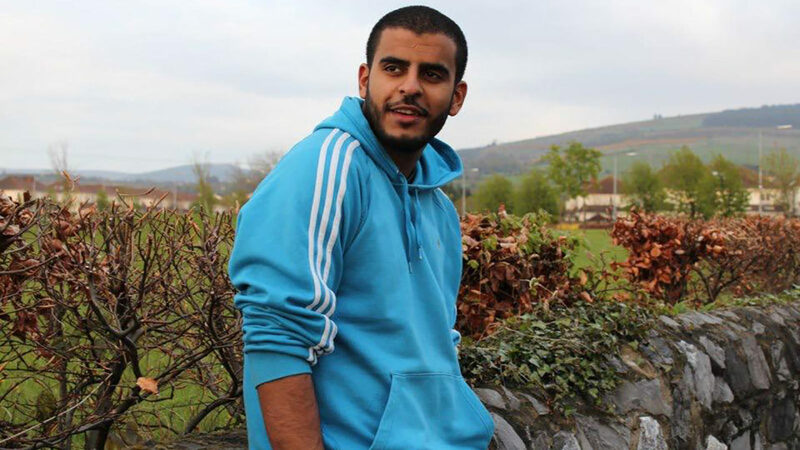 Ibrahim Halawa was just 17 years old when he was first detained in August 2013. He faces a mass trial alongside 493 other defendants, which cannot meet the standards required for a fair trial as defined under international human rights law. He was arrested, along with his three sisters, while taking sanctuary in the Al Fath mosque. While his sisters were released on bail, Ibrahim has been incarcerated for almost four years without trial. His trial has been rescheduled for September 18 2017.